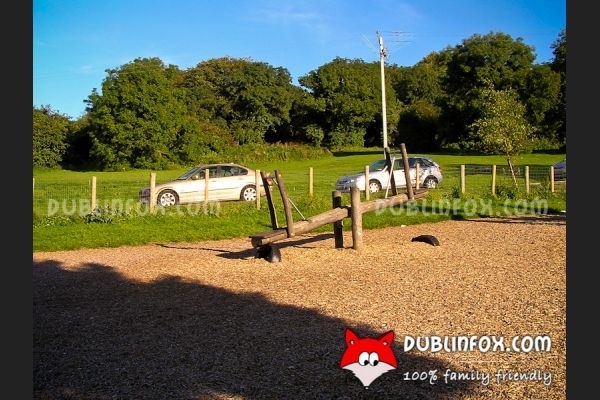 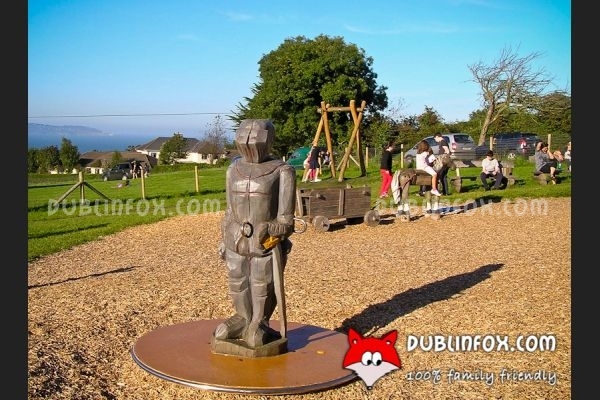 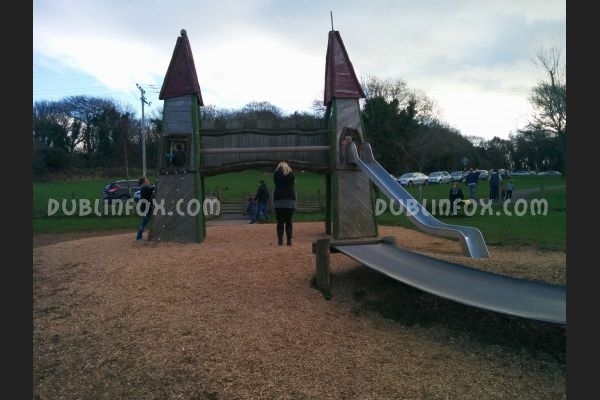 Killiney Hill playground is a spacious, decent playground located in breathtaking surroundings. 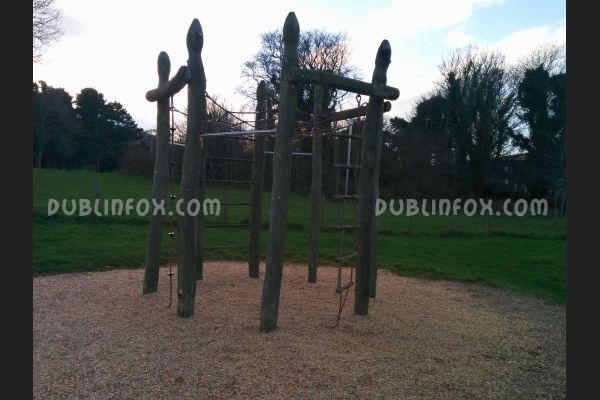 The wooden play equipment of the playground is inspiring and welcoming and offers great time for younger and older kids alike. 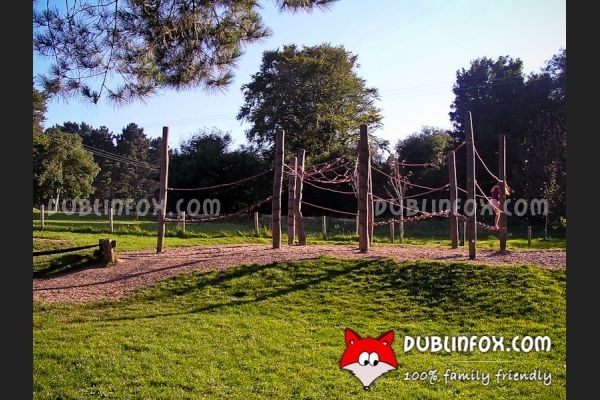 The unique belt footbridge, the standing see-saw and the zip wire are exciting and the view from the playground is just awesome. 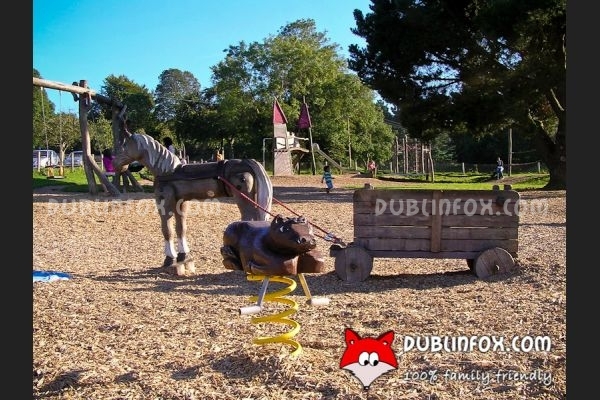 The climbing frames and the multi play unit with the slide are more suitable for older kids, but younger children might enjoy themselves as well, as the springer, the hammock, the basket swing, the baby swings (there are only two unfortunately), the spinner and the wooden horse with the cart are designed for them. 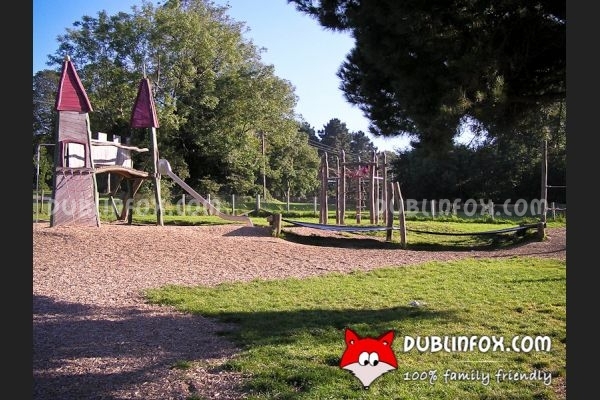 The surface of the playground is not too buggy-friendly, so be prepared. 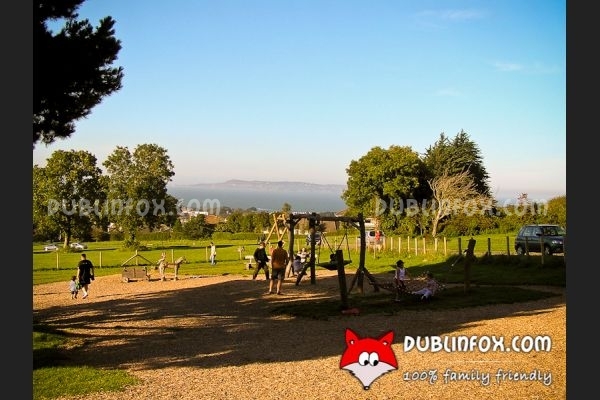 After visiting the playground, climbing up the hill is a must, because the scenery is gorgeous and really unforgettable. 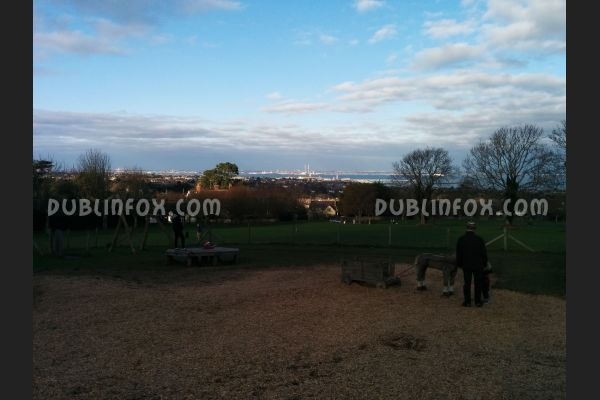 Click here to open Killiney Hill's website in a new window.